We ventured down the track to Lake Bennett Resort for triathlon action at the weekend and scored near perfect conditions! It was an amazing morning to host the NT Standard Distance Championships and also our short option event. Korgan Hucent (Ray White Bayside) who was Race Director and a generous supporter of the event including bringing extra helpers; Steve Goat who was Korgan's right hand assistant; Jo Duncan, Lucy Thompson, Tatiane Kelly et al helped with check in & finish line; John Thyne who did a great job shopping & cutting up our much appreciated post race refreshments; all our water station helpers (some pint sized); Craig Rachow who was out longer than most looking after our timing system; Emma Host who was out at our far bike turnaround; Alan Barrett who manned bike corner at the resort entrance; Pippa Featherstone who stepped in to lend a hand and to all those who just simply assisted when needed - thank you for making our event such a success! Thanks also to Skip Hall & crew on Water Safety and St John Ambulance for ensuring the safety of our competitors. 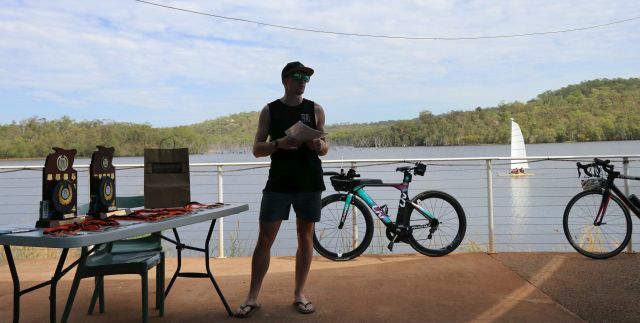 Presentations of medals/trophies were made on behalf of Triathlon NT by club president Luke Fonsko. All our age group and overall winners also received AMart vouchers courtesy of Ray White Bayside. Our results guru Gary is out of range for much of this week, so apologies for the delay in posting results - they shouldn't be too much longer! We are certainly into the full swing of the busy dry season and we hope you are all enjoying the cooler weather. Our next event will be on MONDAY, JUNE 12TH LAKE ALEXANDER @ 0730 (Please be there by 07:15 for registration). We thought we would take advantage of the public holiday to give kids and parents the opportunity to join us without clashing with weekend team sports commitments. This event will be a SWIM/RUN event so no bicycles are necessary, but please have the kids wear clothes they can comfortably swim and run in and don't forget goggles. We will be providing some light snacks and refreshments but please bring your own water bottle. We will run some fun water and land based activities for the younger and less confident kids and they will be in shallow water so if your child can't swim well they can walk, blow bubbles, kick with parent assistance etc. If your child needs assistance and close supervision in the water we ask that parents be ready to assist your child in the water activities. Depending on the ages, skill level and confidence of the kids we will do a couple of micro aquathlons with the 'swim' and run distances modified according to their ability. The older kids can choose to do a more challenging distance according to your child's confidence and capability. We generally like to finish our events with a relay with mixed teams of younger and older children and parents are welcome to join in too, if they are keen. If you are planning to attend, please let us know in advance by emailing darwintriclubjunior@gmail.com so we have approximate numbers for catering purposes. PLEASE feel free to pass this information on to friends who you think will be interested in coming along, the more the merrier. Here are some dates for our planned future events; August 13, September 10, October 15 and November 12. Info & Entry available shortly. Watch this space and/or Facebook. 1. 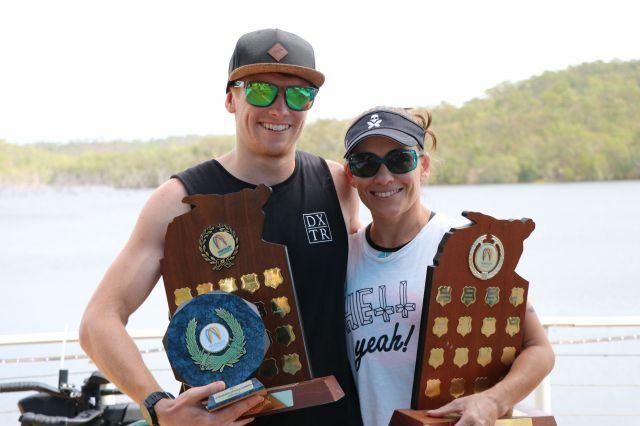 Good to see a couple of interstate competitors line up at our event on Sunday. 2. A big thank you to those members who have already responded to the call to fill roster positions on our events scheduled up to December. There are still a number of vacancies, so please check our Calendar and email where you want to be placed. The expectation is that everyone helps out on roster at least once per season, so jump in and choose your event before we allocate you to a vacancy. You are very welcome to get a friend or partner to carry out your duty if you wish. 3. Good luck to our members taking part in the City2Surf this weekend. 4. Junior Kyle Farrier got a SuperLeague mention. Airnorth would like to hear from any members travelling to Cairns on their flights on either Thursday (8 June) or Friday (9 June). They are only able to uplift a certain number of bikes on each flight depending on the load of the aircraft. Please phone their reservations supervisor on 8920 4001 and advise your Booking number and weight of bike. Airnorth will then add those bikes to a high priority list. 6. We're excited about our new events coming up. 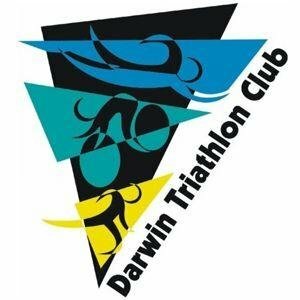 Watch for details of the new categories to be included in our first Darwin Triathlon Club Long Course event. Non runners and mountain bikers will love them.